If you have any of the following can you reply back ASAP with your server and where about you are so I can take an image for the YPPedia. I don't think it's necessary that people reply back ASAP, but I have the Inferno War Brig and a Lavender Bunny. I'm not sure if I have one of the Jolly Rogers, but can check my trinkets. I checked my trinkets - I only have a gold JR medal. I can hook you up with a hearty and a Shadow Unicorn on Cerulean if you don't get your hands on one. I also have a rogue dhow on Cerulean. Inferno class war brig? I totally missed that. Edit to add: Links, because they're kinda big. You can download, rename them do whatever, to suit your needs. Will sort out the images that we need now, crop, upload and tag etc. Going to update the list on what we need. @Dexla: Yes would be very useful, send me a PM with your pirate name and time and will login =] Also, the image we need for the rogue class dhow is the docked image. Don't speak Spanish nor German, but I shall try to find myself a charter who will chart all the islands so I can visit them and take some pics... Shall update this when I get some pictures. Feel free to send me a PM if you have been to some of the Jade/Opal islands and want to help me get some pictures! The Jade/Opal images are NOT a priority. Those islands should really only be updated on the spanish/german wikis. We've had some discussions about how to handle the pages we have, but never really reached a resolution. Ye. The Jade/Opal pictures aren't really on my top to do lists atm... Side project for whenever I have spare time. So here's a link to my dockside -- you can do the honors of cropping. Le honor of cropping ;D what a privilege..
... Or, just filch them off the Spanish and German wikis? Can you make sure when doing the ship images that you keep the various backgrounds (black, ocean, etc.) rather than adding transparency? None of the other ship images use the transparency, and it just looks really odd to have a few random pages. With the number of already existing images, it is also not worth redoing them all to ADD transparency, so let's stick with the style we already have. Also, going to put a stop to whatever plans you have for that "images needing transparency" category you just made. Please send me a PM and we'll discuss whether it's needed or not, because offhand, other than the ship images I just mentioned, I can't think of any realistic use for it. I did a portrait with the Book of Confections. Just uploaded nearly all of the jade ocean images, just missing 3 which are also missing on the es wiki. Updated list of images we require. Since the 'Portrait clothing' article seems to be missing a pic of female Winter Feathered hat, here is my alt with a maroon/white one . 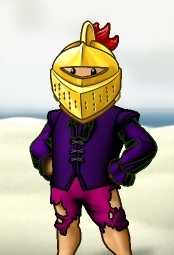 Well, I always wanted Belthazar skin hat but they told me that it is not a 'tasteful idea' even though I think it would be one of those timeless classic pieces to have... Just joking, in case someone thinks I'm serious. I dislike the hat very much. It's in my naughty list. In fact, about everything is in my naughty list. The only thing in the nice list is me. Could you please list the winning trinkets and their images preferable as hate having to search through threads to find them. ... In the game, go Palace Shoppe -> Seasonal. ... No it's not. It's an image, carefully assembled screenshot by screenshot.